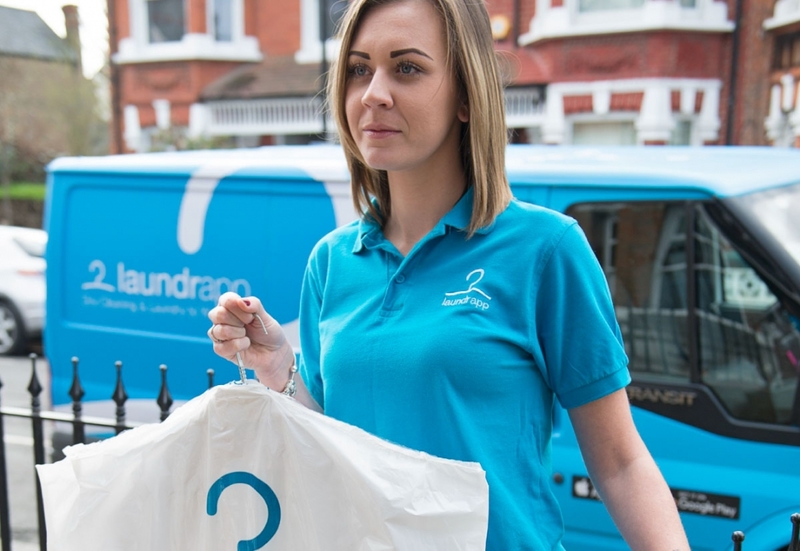 Laundrapp is London’s first on-demand dry cleaning & laundry service offering customers same-day pickup and return, arranged with just a couple of swipes on the companion mobile app. 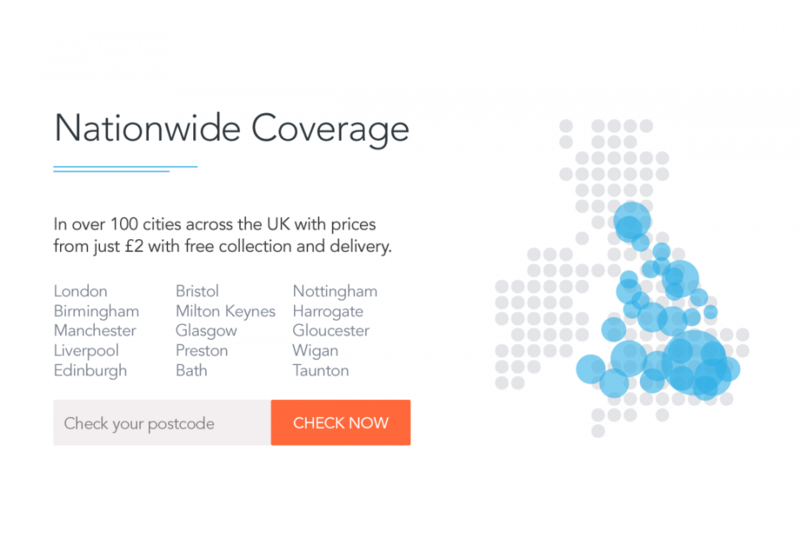 We were excited to play our part in the service’s UK launch, designing and developing its supporting website and email marketing. The initial project was a 5 week sprint, running in parallel with the app’s final development. 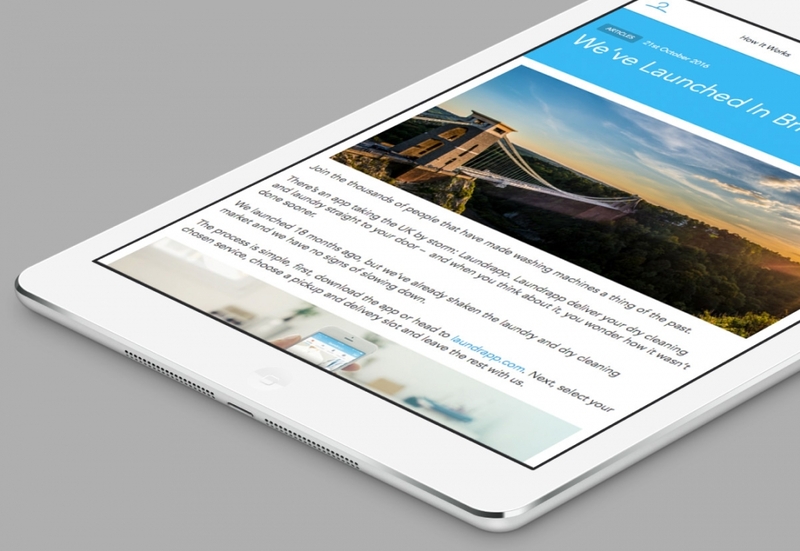 This required a pretty fluid approach to the website’s design and development while aspects of the service were still being finalised. 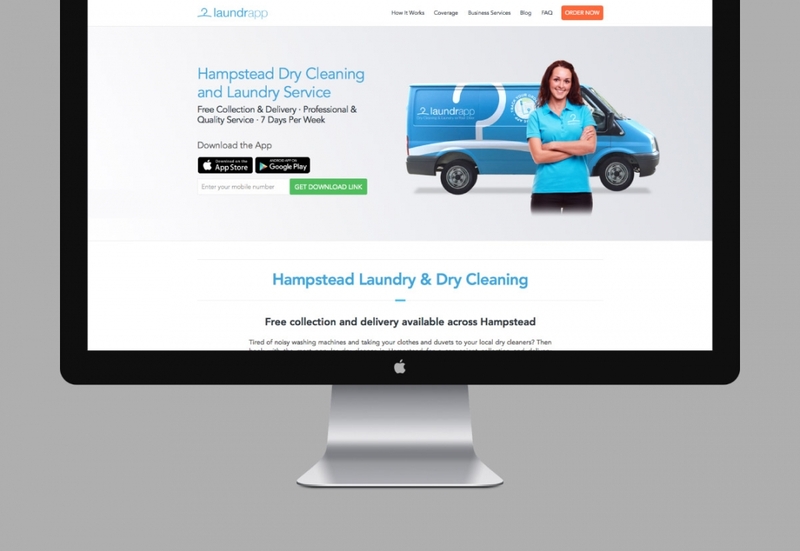 During this time we worked closely with Laundrapp’s digital marketing agency to align the website with their advertising goals and achieve a design which reflected the look and feel of the app itself. 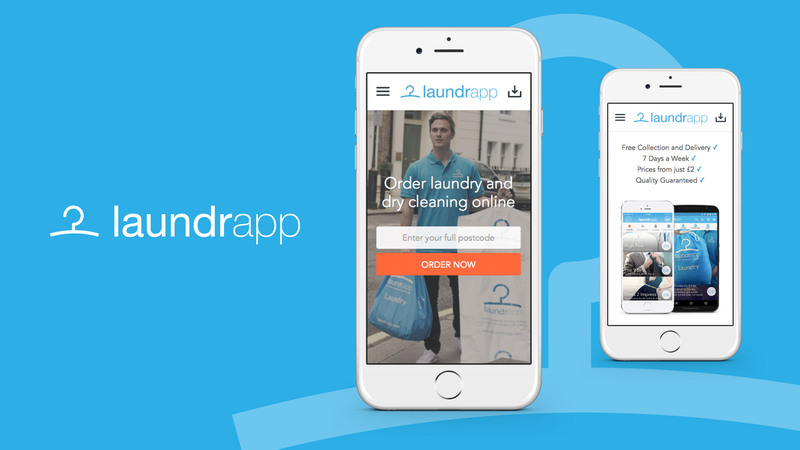 The site acts as the primary destination for potential customers to learn about Laundrapp and download the app. 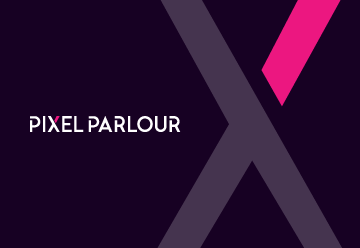 Pay per click advertising, TV spots and other online and offline marketing channels all bring visitors into the homepage (or a specially tailored variation of it). 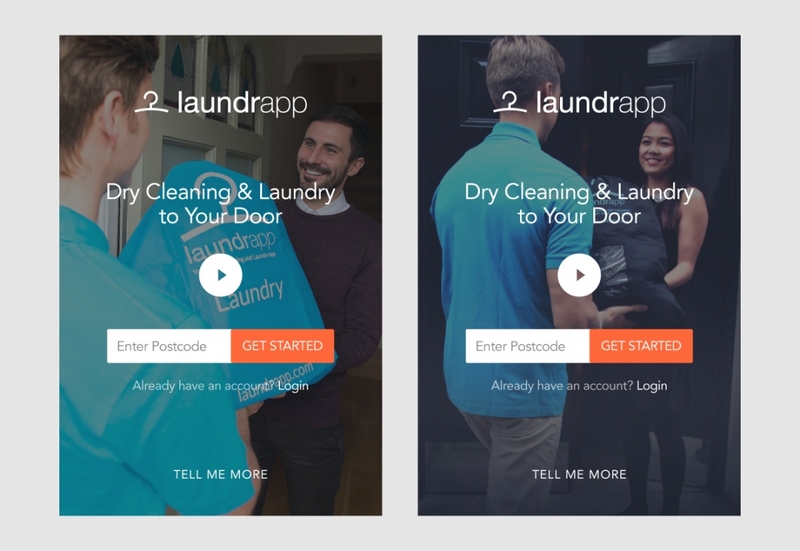 So we designed this main page as an engaging, interactive tour through the Laundrapp service, ending in the site’s primary goal, an app download. 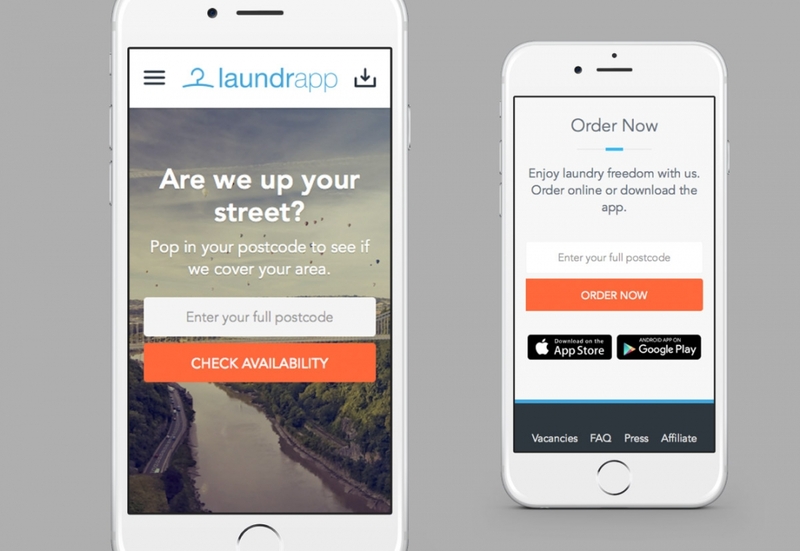 By combining bite-sized pieces of info with a parallax image effect that encourages scrolling we’ve tried to create a design that lets visitors quickly absorb the key information and feel ready to give Laundrapp a go. 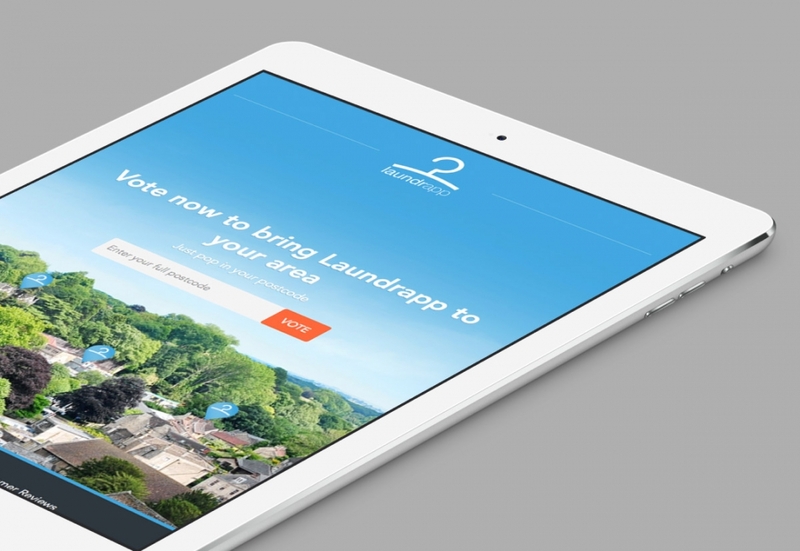 Naturally mobile users were an important target audience for the site. So in addition to implementing a Responsive Design that would allow us to tailor the experience from desktop down to smartphone, we also went to town on performance optimisation. We wanted to make the site as light and fast as possible but without compromising cornerstone design ideas such as the big images and interactive elements. File compression, code minifying, content caching and careful attention to the loading order of assets have all helped us achieve this for a site that is both fast and engaging. 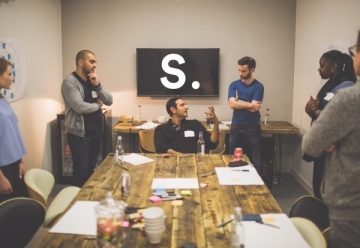 The marketing agency that would be running the site day-to-day required pretty comprehensive control over its content. Beyond the standard WordPress editing controls the facility to switch individual areas of a page on and off and re-order the main building blocks of the design without affecting the fit and finish, were called for. 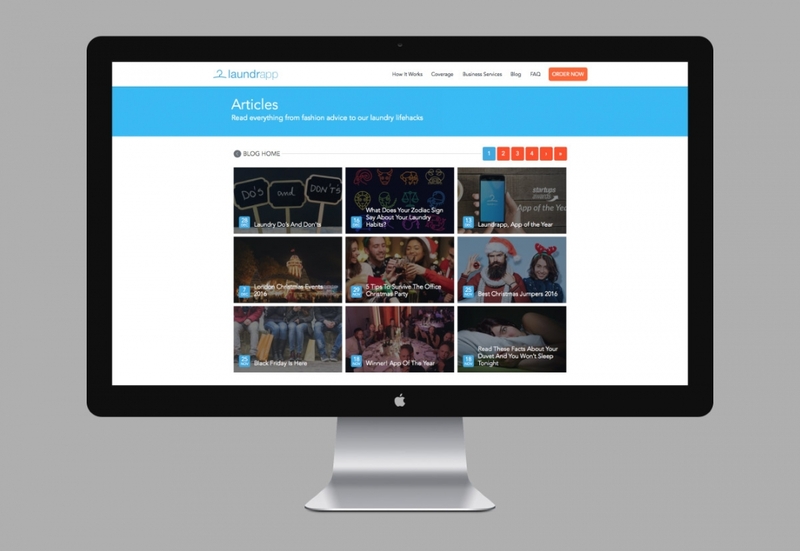 We also needed to find intelligent ways to make new content creation as efficient as possible and allow individual pages to be an arbitrary mix of common site-wide and unique elements. 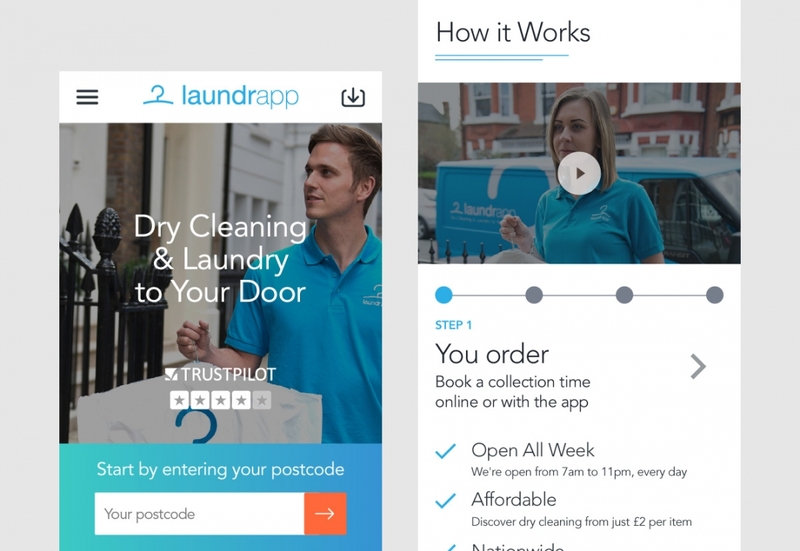 Laundrapp wanted to ensure that customers’ digital interactions with their brand lived up to the standards set for the service itself. 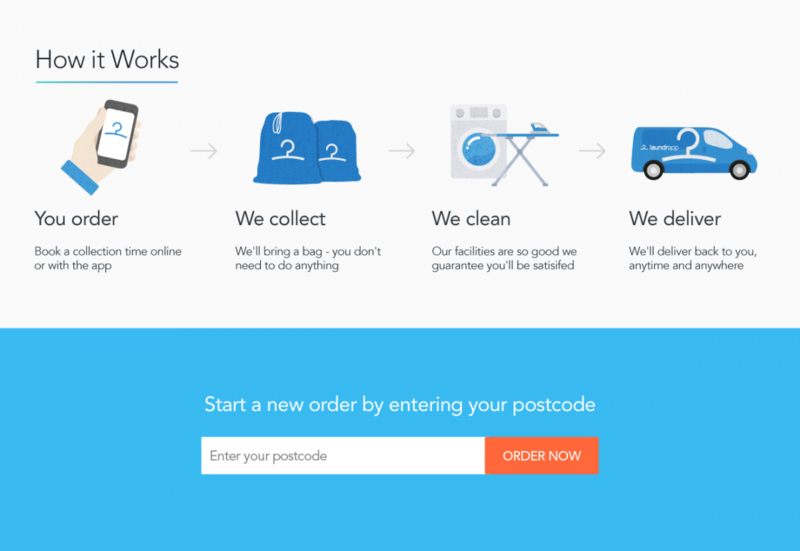 In particular the communications via email before, during and after the ordering process needed to be as clear and effective as possible. We understand that done right email is a powerful tool for customer retention and a useful driver of repeat business. 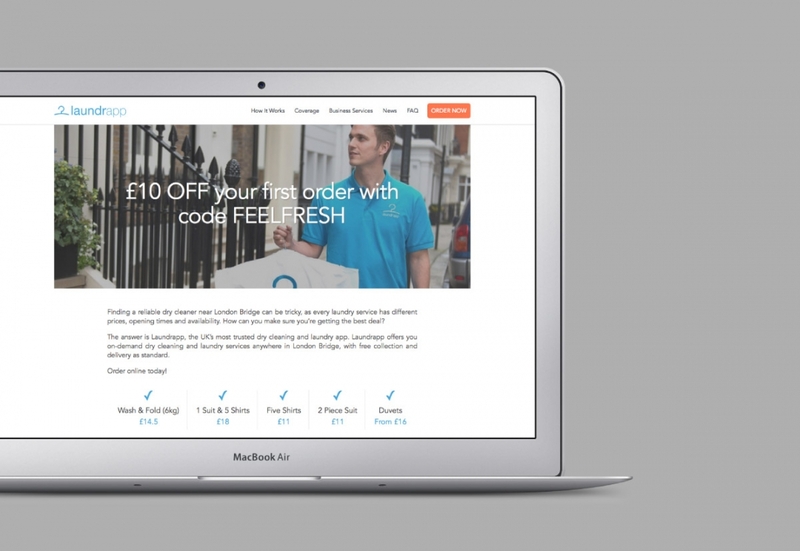 For Laundrapp we integrated both Mandrill and MailChimp with the site and created a set of Responsive email templates for both marketing and transactional emails. Careful attention was paid to ensuring the look and feel were a consistent reflection of the brand and that the marketing team had the flexibility to experiment with content and effectively measure the response. 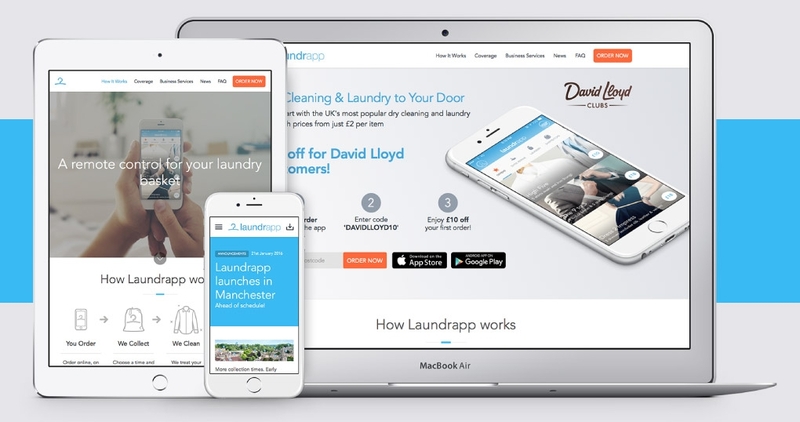 After a successful launch we continued to support Laundrapp, working closely with them over the first two years to add new features to the site and to tune existing aspects based on the performance data coming back while they grew their in-house development team.